There are a large number of people who are already afraid of getting onto a plane and then technology does this! Researchers have recently shown, and that too quite successfully, how a pilot is now capable of taking off, flying, turning and twisting, and landing a drone by using only his thoughts. 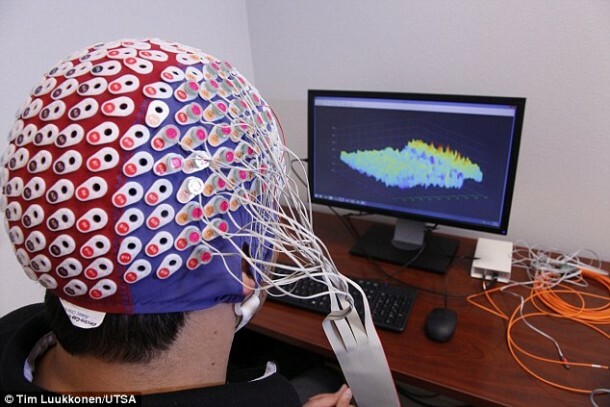 The flight made use of an EEG cap and a software particularly designed for this purpose. The brain-to-computer interface (BCI) software has been developed as a part of the Brainflight project. Ricardo Mendes from Tekever said, “The project has successfully demonstrated that the use of the brain computer interface (BMI) on a simulator for the Diamond DA42 aircraft, where one pilot controlled the simulator through the Brainflight system. We’ve also integrated the BMI with UAV ground systems and have successfully tested it in UAV simulators. We’re now taking it one step further, and performing live flight tests with the UAV.” Still amazed? Watch the video below to know more!